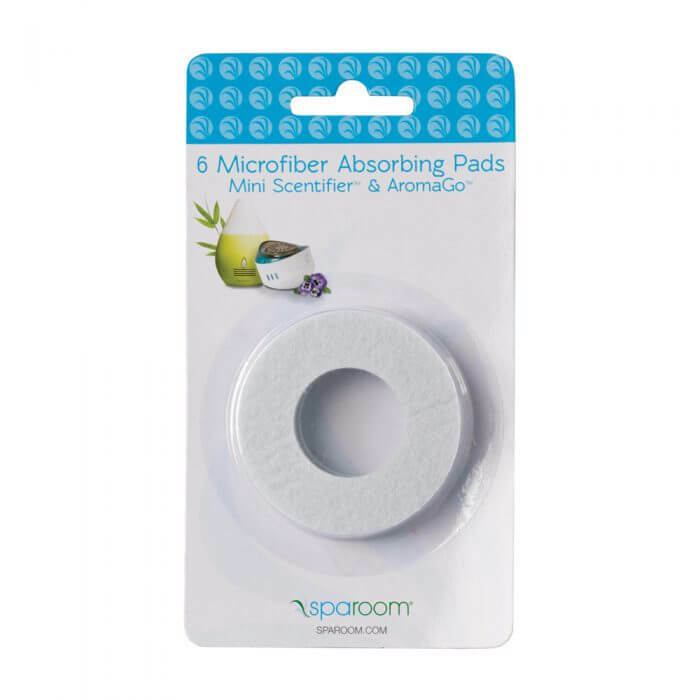 Mini Scentifier, fan essential oil diffuser refill pads fit perfectly inside the accompanying diffuser. Works with the following models: Mini Scentifier and Mushroom. Once you have your Mini Scentifier opened and have removed the plastic guard, lift the used scent pad out of the base. Place the new pad on the base and add essential oil directly to the pad before the guard is in place. Be sure to snap guard into place before reattaching to unit.